OAuth, an emerging Web standard for authorizing limited access to applications and data, is important because it places the management of Web delegation into the hands of the actual resource owner. The user connects the dots between their accounts on different Web applications without direct involvement from the security administrators on each respective site. 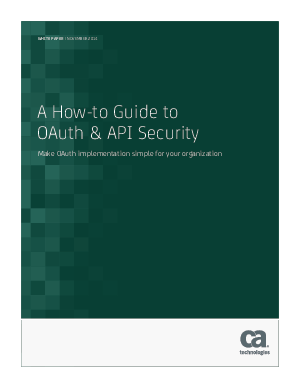 Download this whitepaper to learn the in’s and out’s of OAuth & API security and see how this can greatly benefit your organization.